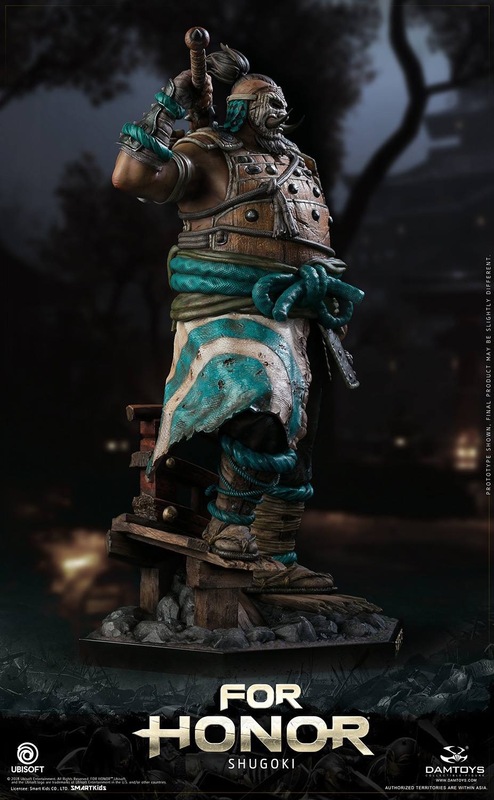 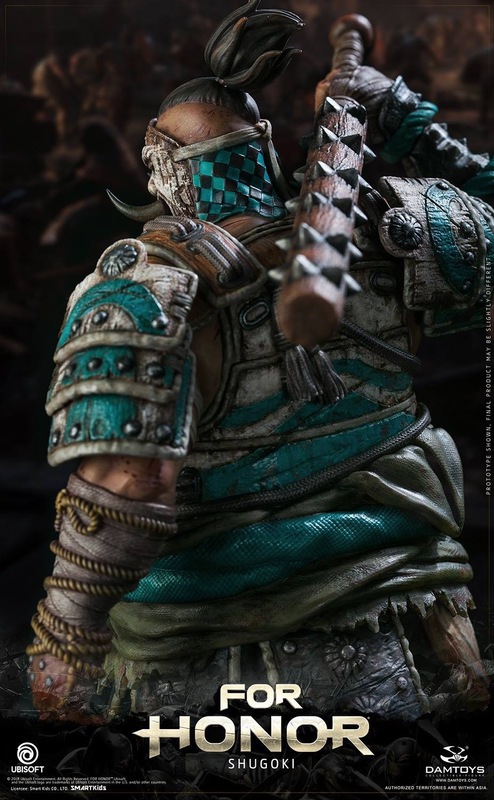 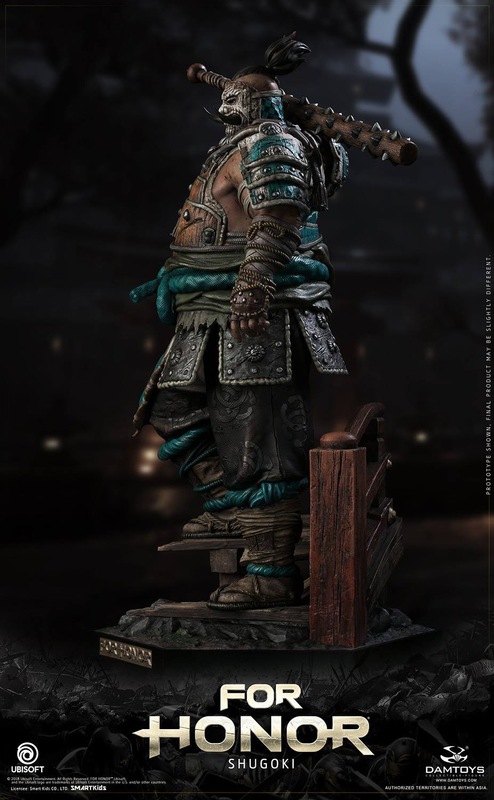 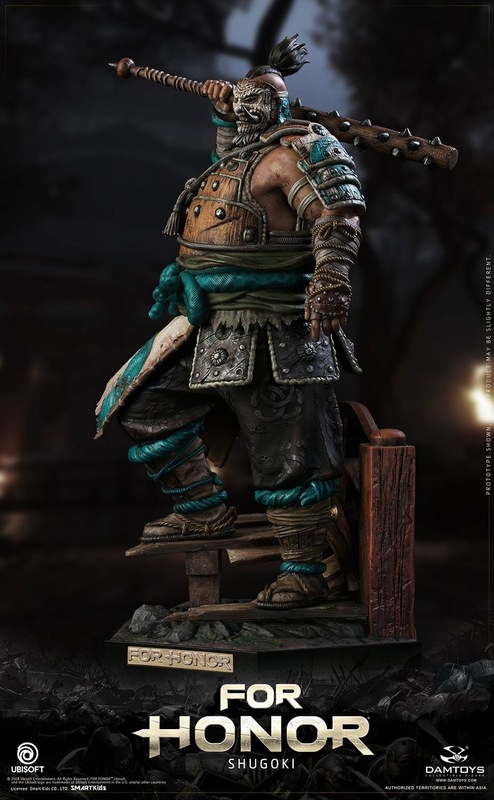 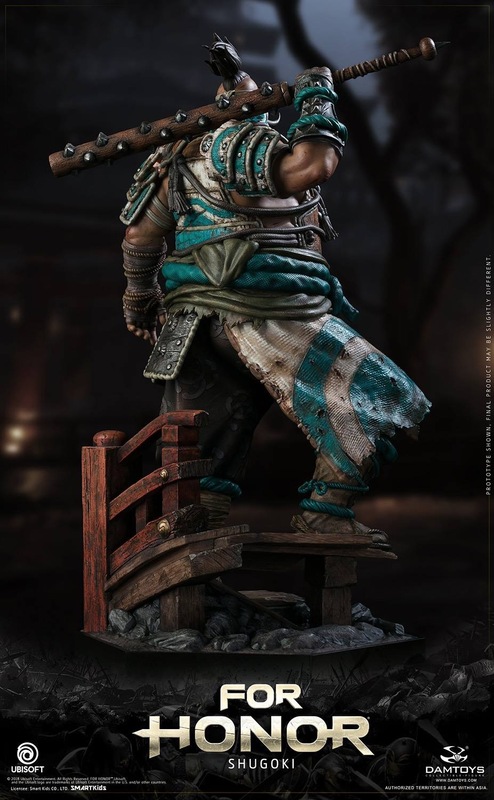 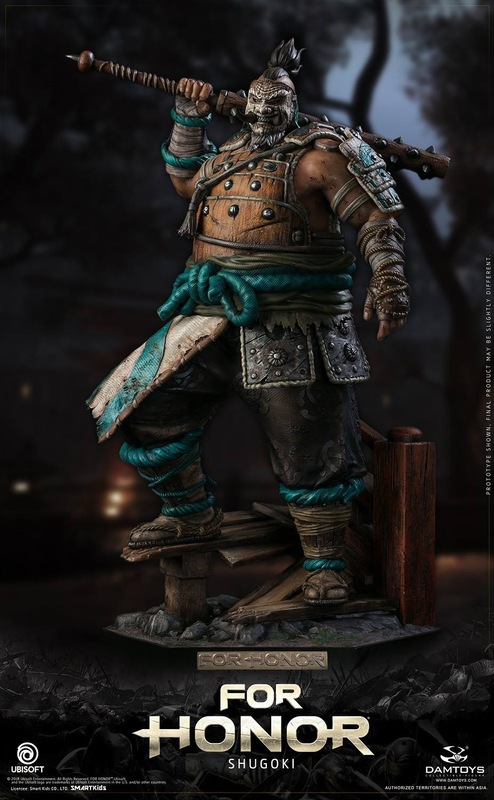 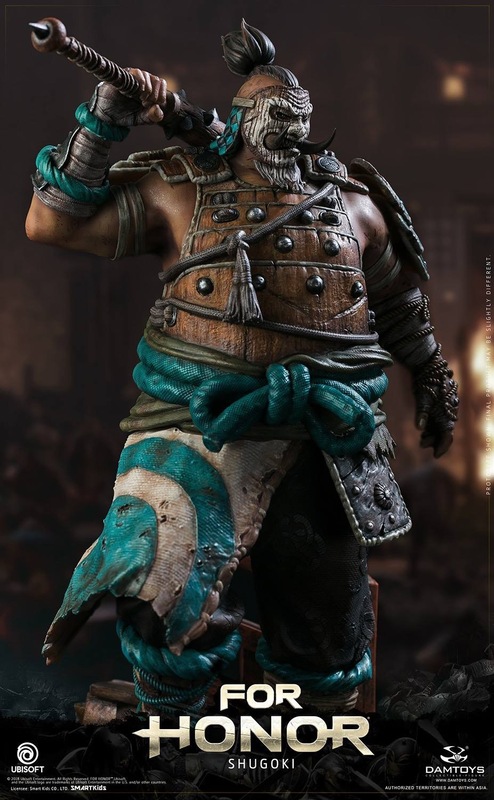 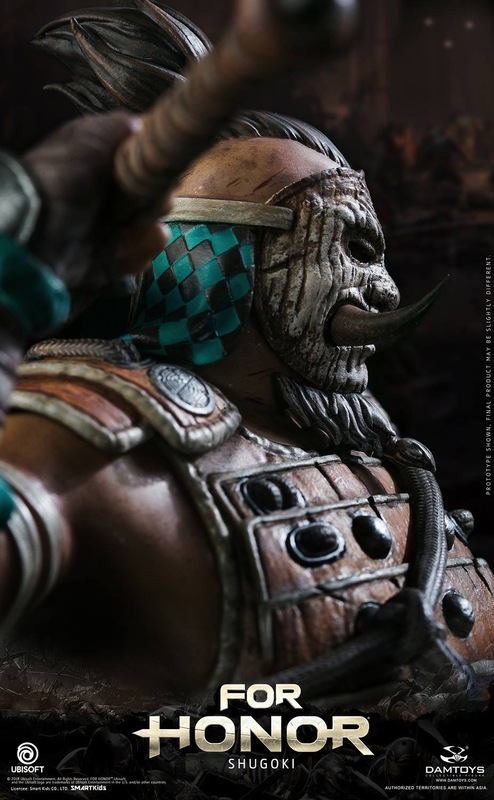 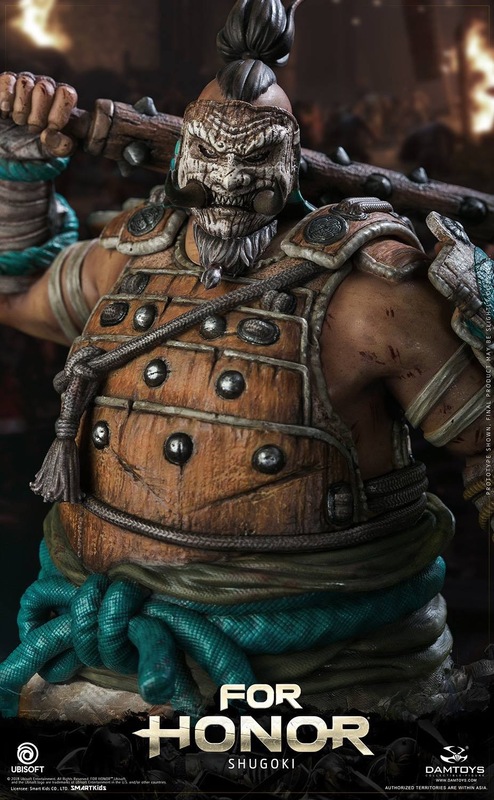 Sumo-like strong body, Japanese style armor and patterns – this statue strives to be accurate and faithful to the Shugoki’s distinctive style in the game. 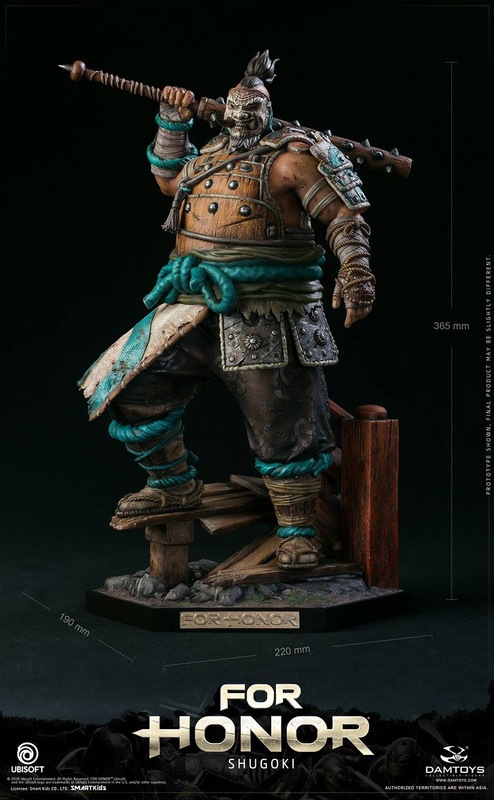 Wooden mask, metal weapon, armor plates, obi sash and leather straps, the rich contrast of the intricate textures adds a delicate beauty to this 1:6 statue. 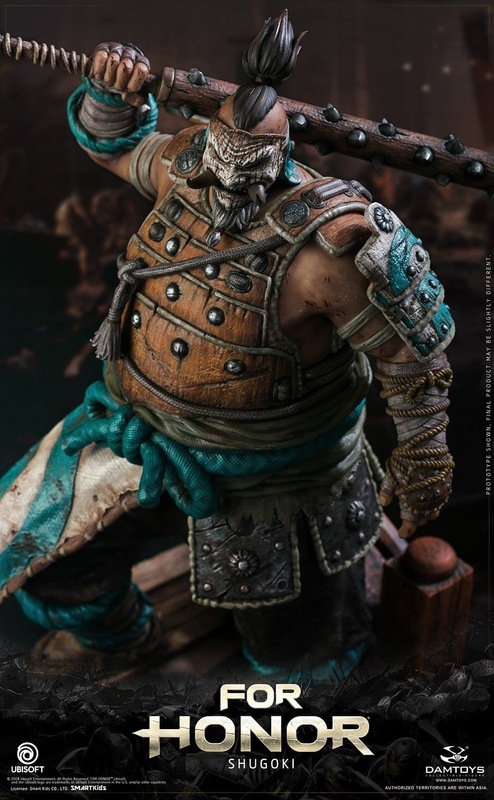 The matching of battle-damaged weathering with large blocks of solid color brings an ultimate visual feast. 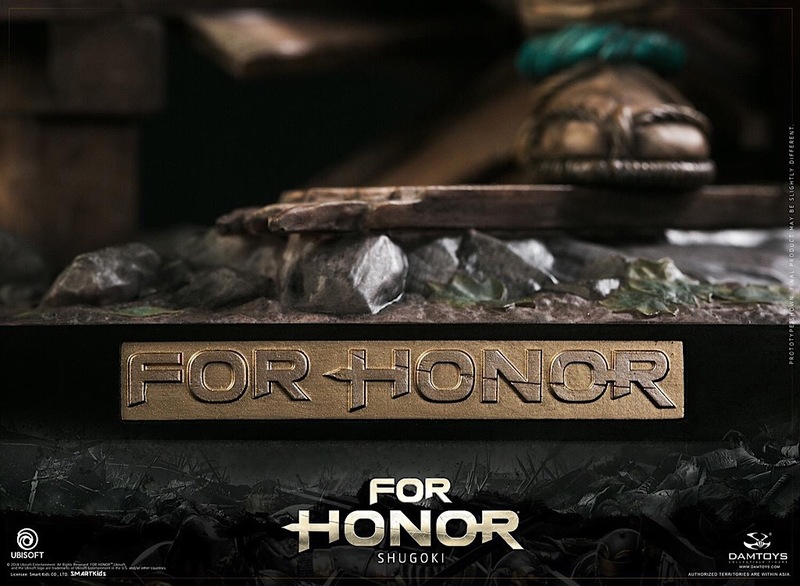 The base is a riverbank composed of rock, gravel, deciduous materials. 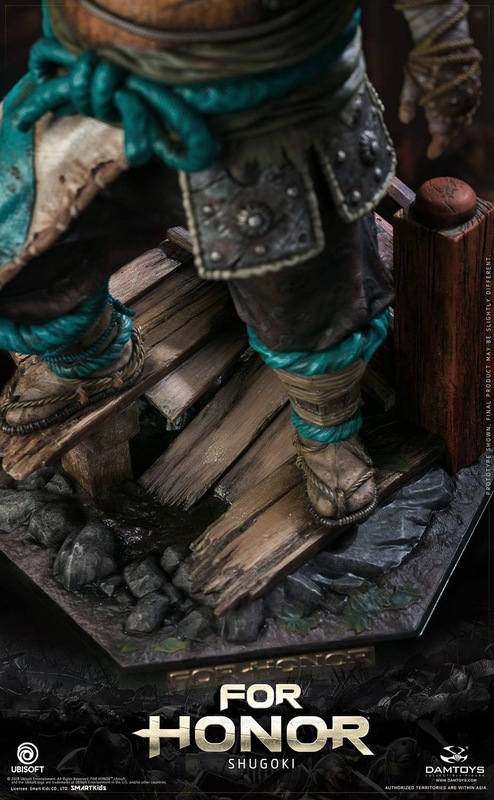 The arc of the broken bridge and the hollowed-out wooden board bring a sense of space. 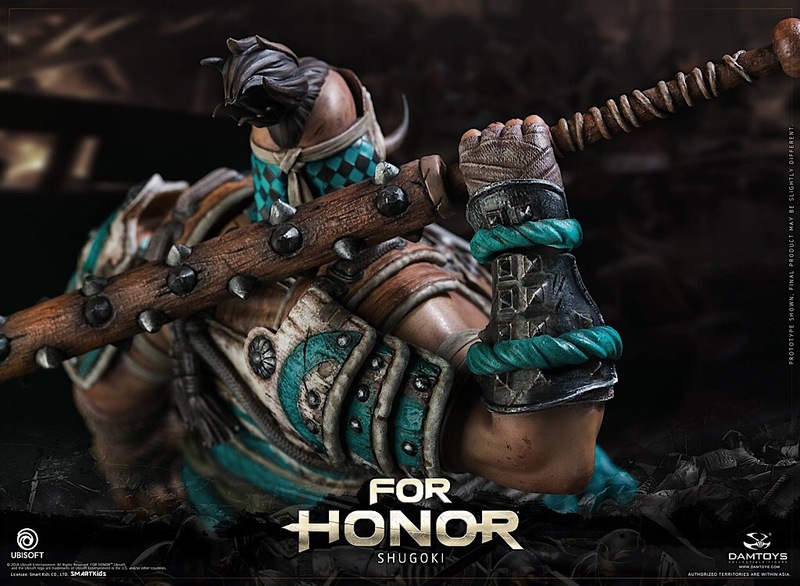 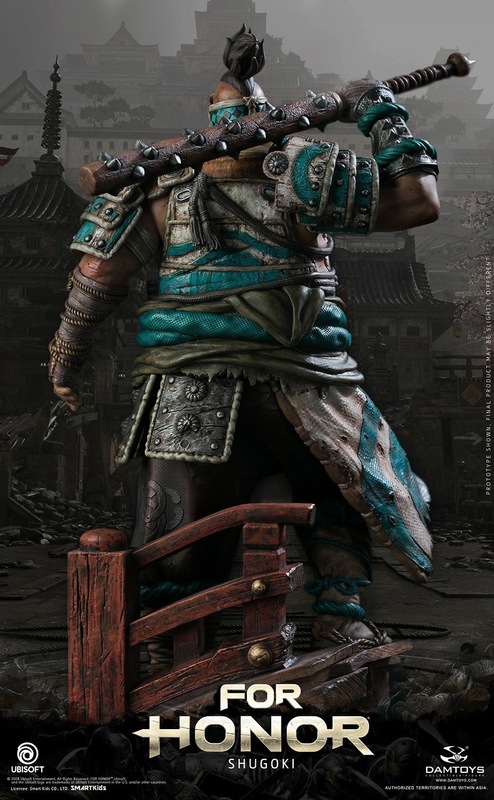 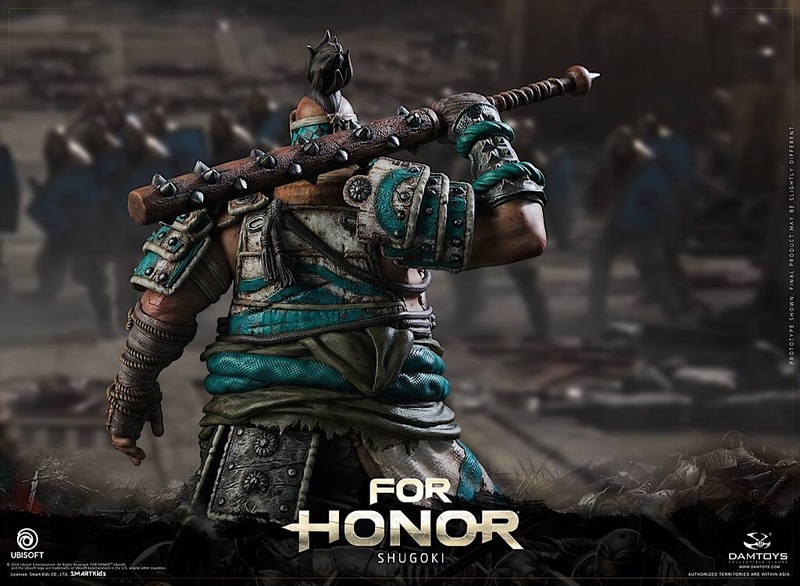 In stark contrast to the iron wall the Shugoki has as his body, it highlights his strength, will and fortitude. 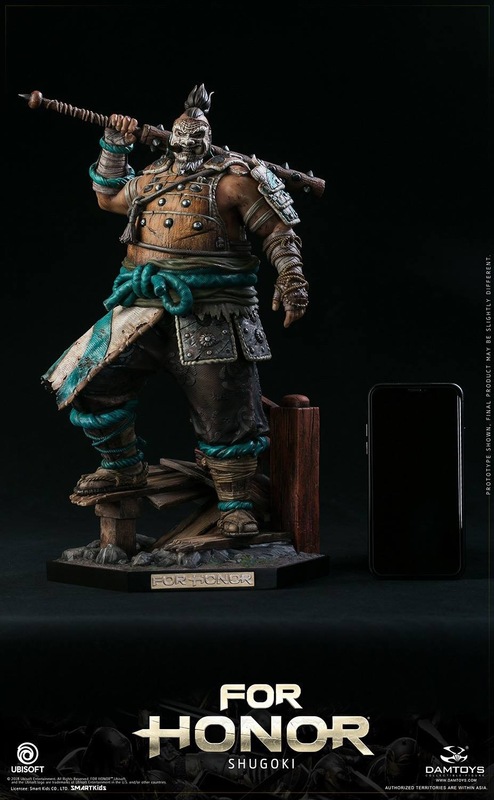 DAMTOYS all-new statue series! 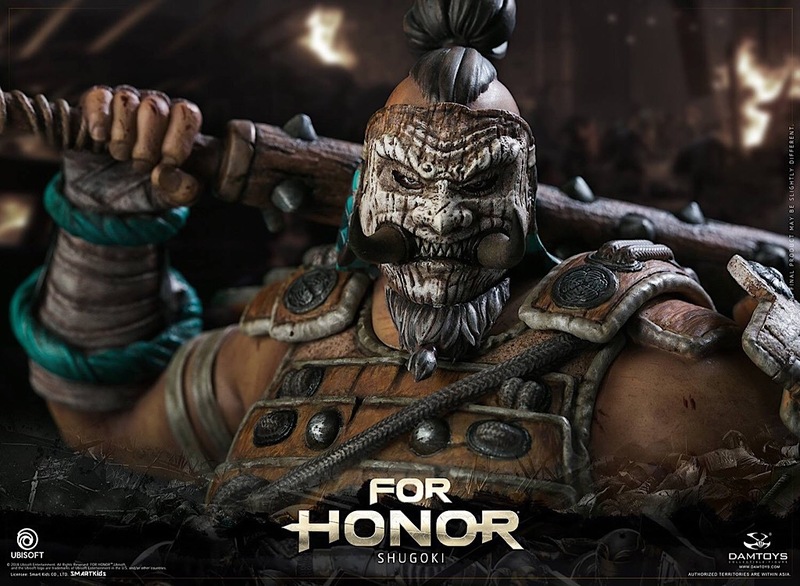 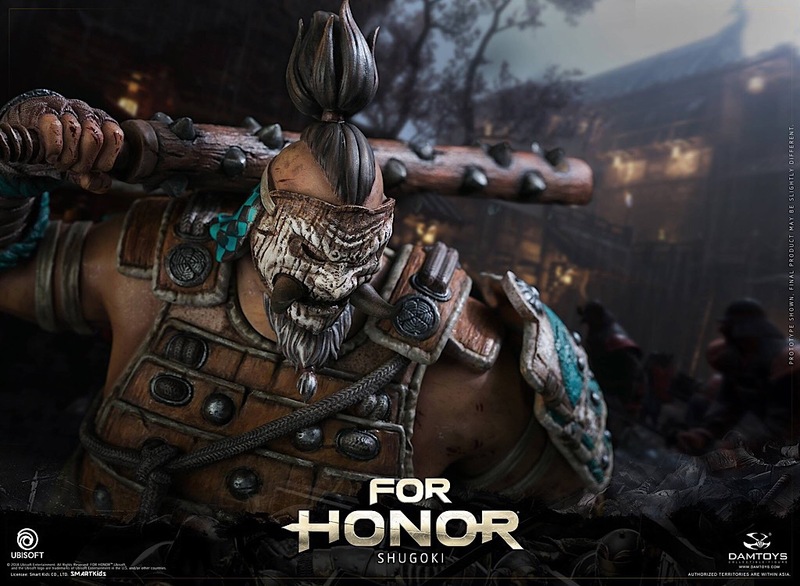 Recruit Shugoki to your faction in the "For Honor" series.